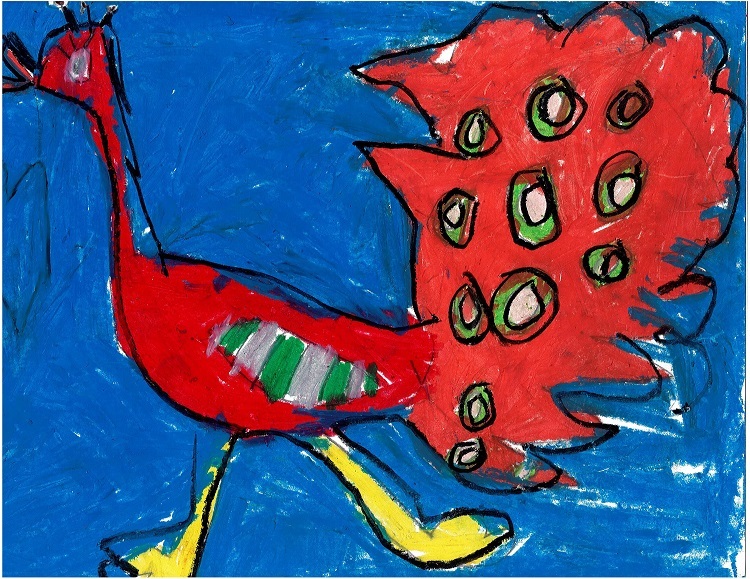 Posted on November 7, 2018 by Hillary T.
This weekend marks the official opening of the Museum of American Bird Art’s 3rd annual Youth Art Exhibition. On display are 35 artworks were selected out of 277 entries and include a wide variety of mediums—colored pencil, ink, watercolor, acrylic, block print, pastel, markers, collage, and several mixed media pieces. The opening reception is on Saturday in Canton and the exhibition will remain on view in the Estate House by appointment through March 31, 2019. In the meantime, enjoy four of the pieces on display, including an artist statement about each one. This entry was posted in Art & Culture on November 7, 2018 by Hillary T..
Posted on October 29, 2018 by Hillary T.
Art is silent but powerful, just like an owl’s wings. To kick off Blue Hills Trailside Museum’s very first Owl Festival, which took place on October 13-14, art, imagination, and creativity were combined with science and conservation to create the Plumage Project. The idea for this project was developed by part-time Teacher Naturalist Karin Sanborn, who is an artist among several other avocations. Before the event, a call went out for “feathers” created from found materials. An activity station was set up in the museum so visitors could easily participate. One of the focal points for this project was conservation, so raw materials were pulled out of recycling bins. Old cereal boxes and construction paper scraps were “upcycled” and converted into art. Another focal point of the project was science education. Visitors to the museum used feather templates, labeled with names like “primary feather” or “covert feather.” Posters and other visual displays helped visitors explore feathers: the huge variety of shapes, sizes, textures, structures, and functions. Each feather on a bird’s body is like a piece of a jigsaw puzzle, with a unique shape that will fit no other place on the bird’s body. And each feather has a specific function, which can range from flight to protecting a bird’s eyes from sun and dust. Hundreds of feathers were either created at the museum or dropped off by visitors. 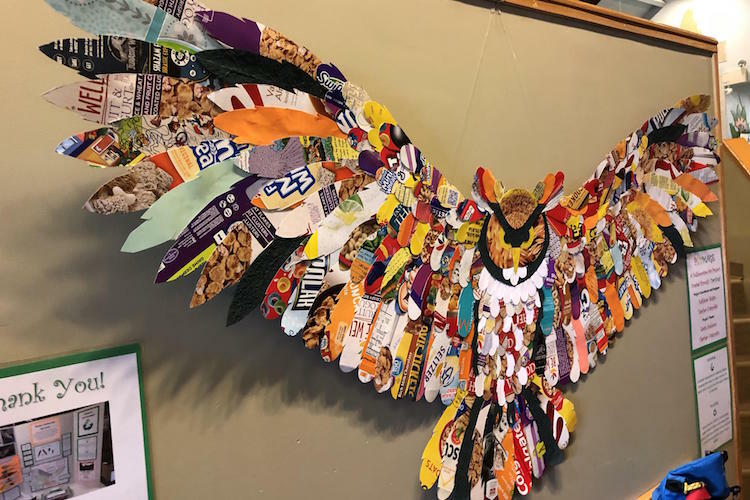 Trailside’s Kathleen Regan provided the sweat needed to complete the assembly of the final product, a larger than life sized representation of a Great Horned Owl. We plan on running future cooperative art projects like this one, combining art, science, and conservation with the goal of helping people connect to nature. 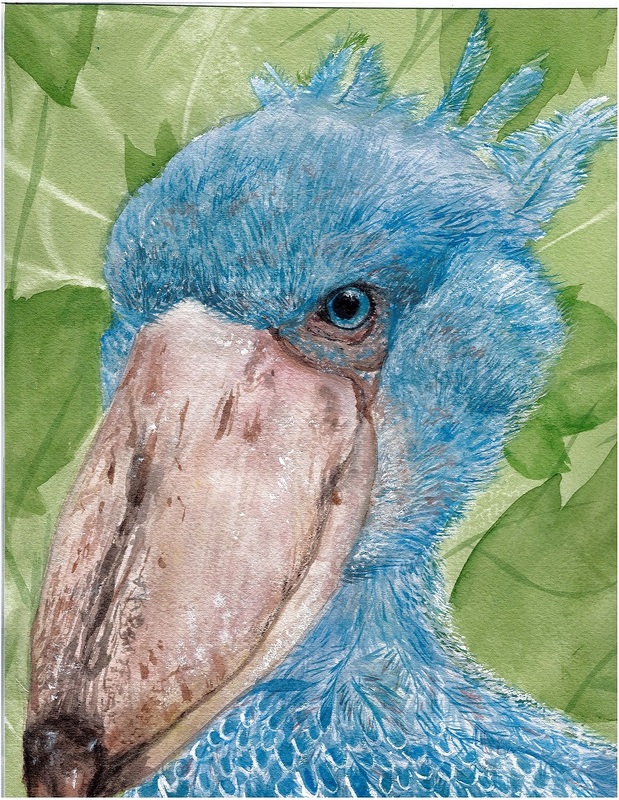 This entry was posted in Art & Culture and tagged art, blue hills trailside museum on October 29, 2018 by Hillary T..
Posted on June 20, 2018 by Ryan D.
We had the pleasure of chatting with Rosemary recently about her artwork, inspiration, and brand new book, Birding Is My Favorite Video Game: Cartoons about the Natural World from Bird and Moon, which shows the funny side of nature (yes, there is one!) and why comics and science are natural allies. 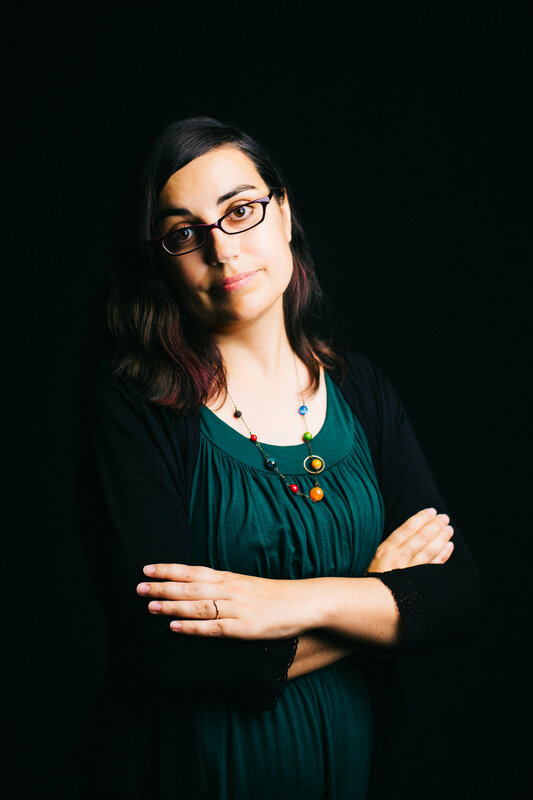 Read on to hear more from Rosemary about making unloved creatures lovable, fashion tips from nature, and finding the humor in everything. To meet Rosemary in person, join us at the Drumlin Farm Nature Center in Lincoln on Thursday, June 21, from 7:30–8:45 pm for an Author Talk & Book Signing. 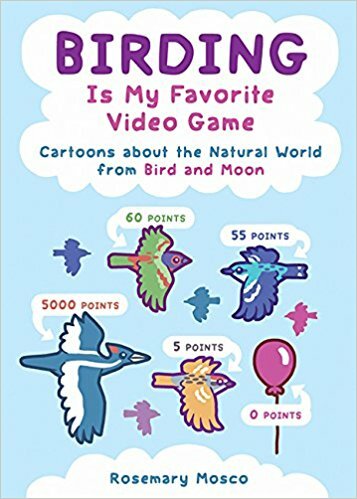 The event is free to Mass Audubon members ($5 for nonmembers) and copies of the book will be available for purchase through the Mass Audubon Shop. How long have you been drawing comics and when did you start intertwining nature topics and humor? I can’t remember when I started drawing comics, but I must have been pretty young. I had piles of newspaper comic books—lots of Bloom County, Cathy, For Better Or For Worse, Calvin and Hobbes. I’d draw my own strips about people, politics, and the embarrassing bands I liked to listen to. I was always obsessed with nature, but I had an epiphany about blending nature and humor when I was at a nature-based summer camp. A guy from the local natural history museum came by to give a lecture, but he didn’t stand in front of us and talk. He put a huge drawing pad on the floor and we clustered around it. He talked about dinosaurs and drew pictures of them at the same time and did funny voices! I thought, “Wait, this is a career option?” His jokes helped me remember the important facts. I was hooked. Where does your inspiration come from? How do you choose your subjects? I spend time reading a lot of journal articles and field guides, I go to lectures, and I hike a lot. Nature is endlessly inspirational. The really hard part is coming up with jokes. I just sort of have to wait until I come across a funny idea. Sometimes it can take a long time! 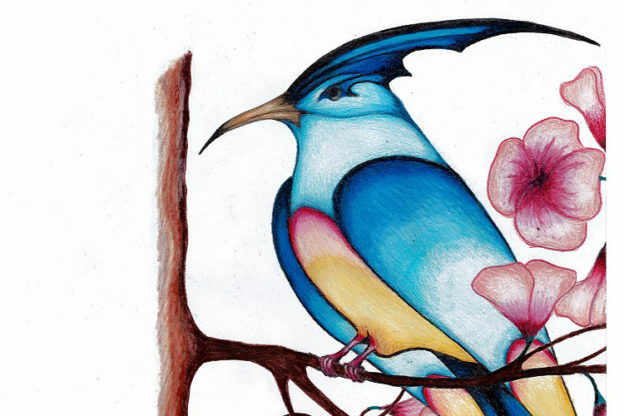 I love drawing colorful birds, but I also try to talk about animals that people don’t like. I want to encourage people to love the unloved critters—bacteria that live on your skin, vomiting vultures, mucus-covered hagfish, stinky snakes, etc. You use several different illustration styles in the book—where/when did you learn to draw and how did you develop your unique style(s)? My comic output is pretty slow. I drew this book’s comics over the past 15 years! That’s a long time and my style has changed considerably. Most of that is because I’ve been experimenting. I’ve had training in writing but not in illustration. I’ve taken a few painting classes and other art classes over the years. I just try different things and see what works. I’m always learning. I try to make each critter look relatable, with big eyes or smiles or familiar expressions. But I include important field marks, too. How do you strike a balance between engaging meaningfully with a topic and avoiding difficult-to-understand jargon? Sometimes scientists and science writers use huge words, and when people don’t understand us, we assume it’s because they’re not smart. But people can understand any concept you throw at them if you use the right words. That’s why I try to avoid jargon unless I’m speaking to a scientific audience or I want people to learn a fun new word. Do you have any favorites from the book? I’m really proud of Fashion Tips From Nature. Animals have the weirdest appendages for courtship or protection from predators and I love the idea of people exploiting those styles—wearing a shirt that looks like poop, for example, so that nobody will approach them. A few years ago, a museum in Ithaca called PRI’s Museum of the Earth did an exhibit on my comics, and they had a fashion corner where people could try on weird animal-inspired clothes. It was ridiculously fun. Any advice for young naturalists looking to approach nature and science from a new angle? Everyone has their own unique style and perspective. We’ve all got something special to offer. If you think about what you love and how to convey it, you’ve already taken the most important step! Also, try to find the humor in everything. Nature is full of ups and downs, joys and heartbreaks. Laughter will help keep you going. To learn more and have a few good laughs with Rosemary, join us at the Drumlin Farm Nature Center in Lincoln, on Thursday, June 21, from 7:30–8:45 pm for an Author Talk & Book Signing. This entry was posted in Art & Culture, Special Events, Stuff We Love on June 20, 2018 by Ryan D..
Posted on June 21, 2017 by Hillary T.
Composers and musicians have been inspired by bird melodies for centuries. So it seems perfectly harmonious that Mass Audubon and the Boston Symphony Orchestra (BSO) will partner this summer to present a celebration of music, birds, and nature in the Berkshires. 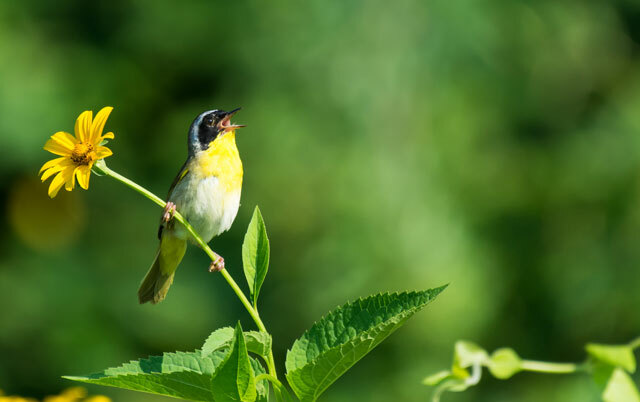 Tanglewood Takes Flight: A Celebration of Birds and Music with Mass Audubon will take place at Pleasant Valley Wildlife Sanctuary in Lenox and at the BSO’s summer home in Stockbridge over four days, Thursday, July 27–Sunday, July 30. Attendees will immerse themselves in activities including guided bird walks, lectures, recitals by brilliant musicians, and an art exhibit. Highlights include concerts honoring the music of Olivier Messiaen, including selections from his landmark Catalogue of the Birds, and joint presentations by Mass Audubon ornithologist Wayne Petersen and pianist Pierre-Laurent Aimard. All events at Pleasant Valley will be free and open to the public, though registration is required. Mass Audubon members receive a discount on Tanglewood events, but capacity is limited, so reserve your tickets soon. This entry was posted in Art & Culture on June 21, 2017 by Hillary T..
Posted on April 2, 2014 by Hillary T.
It’s one of our favorite times of the year! The 2014 Picture This Photo Contest has officially begun. As in the past years, we’re looking for great shots taken in Massachusetts that celebrate the great outdoors: birds, mammals, and insects; landscapes; native plants, flowers, and fungi; and people enjoying nature of course! The contest is open to everyone of all ages and abilities. Doesn’t matter if your using a smart phone, point-and-shoot, or SLR, we want to see your best shots. And this year, we’ve updated the entry process, making it easy to enter from any device. The contest runs April 1 to September 30. Find everything you need to know about how and what to enter or get inspiration from the 2013 winners. And be sure to follow us on Facebook, Instagram, or Twitter, where each month we will highlight some of the entries. Until then, happy snapping! This entry was posted in Art & Culture, Get Involved and tagged photo contest, photography on April 2, 2014 by Hillary T..
Posted on March 27, 2014 by Hillary T.
Sheep fest, bat houses, vernal pools, skull identification, green living tips, and an artist talk are just a selection of the programs scheduled for this weekend. Celebrate all things sheep at Drumlin Farm’s annual festival, Woolapalooza on Saturday in Lincoln. 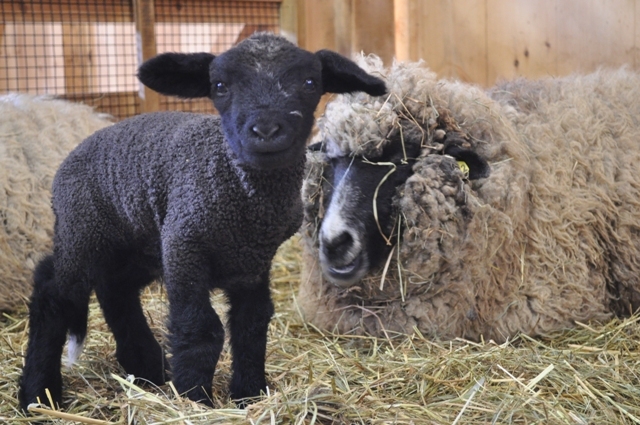 Highlights include baby lambs, traditional hand shearing of our ewes, and opportunities to watch border collies herding sheep. Local fiber artisans will offer demonstrations and sell their handmade products. Please note: Since this is a fundraising event, tickets to the festival are required for entrance to the farm. On Sunday, attend an informal gallery talk to hear artist Anne S. Faust reveal the stories behind the vibrant silkscreen images of birds around the world that are part of her A Life List in Silkscreen exhibition at The Museum of American Bird Art. For a full listing of programs, visit our online program catalog, where you can now register online for many of our programs. This entry was posted in Art & Culture, Get Outdoors, Going Green on March 27, 2014 by Hillary T..
Posted on August 15, 2013 by Hillary T.
Art and bird lovers take note: On September 19 at the Massachusetts Archives’ Commonwealth Museum in Boston, Mass Audubon will present “The Art of Birds,” a rare, one-night exhibition displaying 28 original watercolors by Louis Agassiz Fuertes. These pieces, commissioned for Edward H. Forbush’s Birds of Massachusetts (and Other New England States) in 1925, have not been seen by the public for more than 30 years. 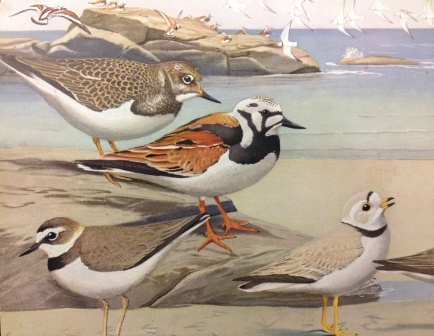 Members of Mass Audubon’s Bird Conservation program will present the paintings and share the stories of the birds shown. 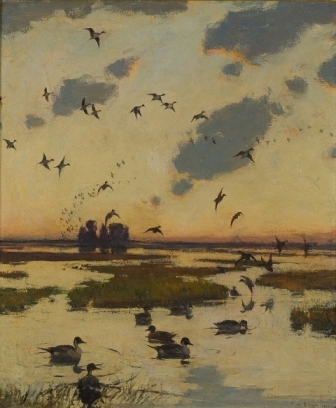 Louis Agassiz Fuertes (1874-1927), whose skill at depicting birdlife was arguably greater even than that of John James Audubon, was meticulously accurate. 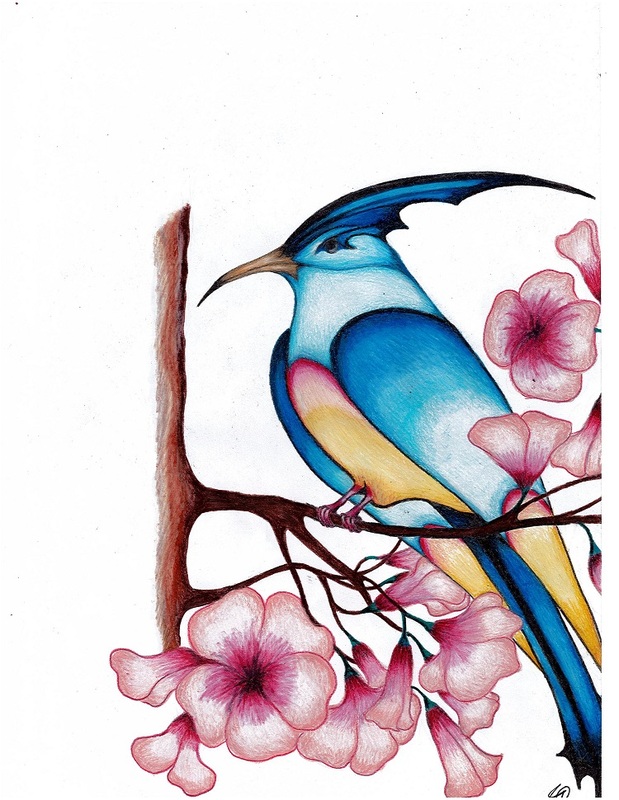 His bird portraits convey a sense of the living bird by showing them in active poses within appropriate habitats. He set a new standard for bird illustration that had a profound influence on the great bird artists that succeeded him such as George Miksch Sutton and Roger Tory Peterson. Protecting birds for future generations was central to the founding ethos of Mass Audubon back in 1896, and many of our programs today carry on that heritage. From its earliest years, Mass Audubon used the power of art to promote conservation through the publication of numerous books, pamphlets, periodicals and posters. In fact, Forbush, who hired Fuertes, was one of the founding members of Mass Audubon and our president for 12 years. Our continuing belief in the power of art to enable people to see the value in protecting the natural world is now most prominently on display at our Museum of American Bird Art (MABA) in Canton. Mass Audubon’s Bird Conservation department is on the forefront of understanding the ever-changing patterns of bird populations, and what these changes may mean for the nature of Massachusetts. Proceeds from the exhibit will help support Mass Audubon’s Bird Conservation program as well as the Museum of American Bird Art at Mass Audubon. 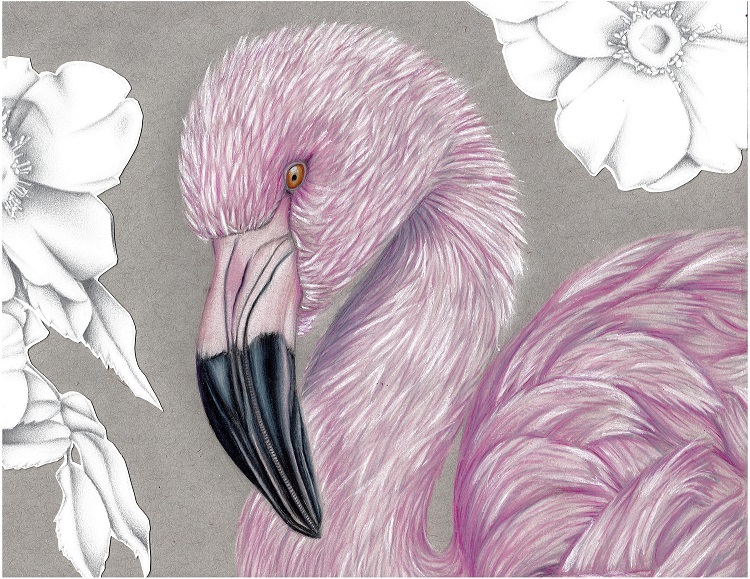 This entry was posted in Art & Culture on August 15, 2013 by Hillary T..
Posted on December 19, 2012 by Hillary T.
From the moment our “founding mothers” chose to name our organization after the iconic bird artist, John James Audubon, Mass Audubon and art have been closely connected. Now, 116 years later, Mass Audubon’s art museum in Canton connects people and nature through art, educates about the beauty and significance of the natural world, and engages new audiences for our conservation mission. The museum also stewards our extraordinary art collection including paintings, sculptures, and works on paper by some of the most acclaimed bird artists of Europe and America: Louis Agassiz Fuertes, Charley Harper, Robert Verity Clem, Lars Johnson, and Frank W. Benson, among others. Bird conservation was the focus of Mass Audubon’s founders, and although the organization’s mission has broadened over the years, our art collection remains consistently focused on American birds. It spans many styles and categories, including fine art, illustration, impressionism, folk art, even pop art. Since an art museum within a conservation organization is an unusual, if not unique, concept, it is critically important to have a name that clarifies what we do. 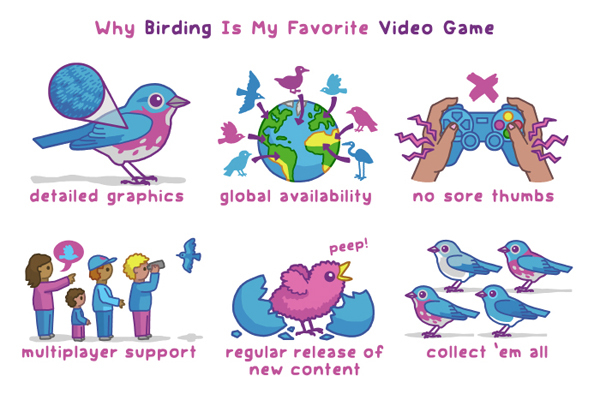 This is why we have decided to change our name from the Visual Arts Center to the Museum of American Bird Art at Mass Audubon (MABA). While our name may have changed, our focus remains the same. Our rotating exhibitions feature renowned professional artists from around the world. And we will continue to offer programs in many formats, including hands-on art classes in drawing, photography, watercolor, and other mediums; gallery talks, summer day camp, and nature exploration. On- and off-site programs serve children, adults, families, and school and community groups. If you haven’t had the chance to come check us out yet, now is a wonderful time. Our current exhibition, Nests, Eggs, Heartbreak & Beauty (through January 13) is centered around a rare 19th-century book, with stunning illustrations and a dramatic history. This entry was posted in Art & Culture on December 19, 2012 by Hillary T..
Posted on September 24, 2012 by Hillary T.
A rare 19th-century book, with stunning illustrations and a dramatic history, was donated to the Mass Audubon Visual Arts Center in June, and now the exhibition Nests, Eggs, Heartbreak & Beauty (September 30 – January 13) has been organized around it. Though the historic volume bears a dry, unwieldy title (Illustrations of the Nests and Eggs of Birds of Ohio), it’s a compelling blend of ornithological observation and artistry, and its creation was a triumph of love through adversity. In 1876, 29-year-old amateur artist and naturalist Genevieve Jones saw John J. Audubon’s Birds of America at the Centennial Exposition in Philadelphia and conceived the idea for a companion publication—of similarly high quality—to depict the nests and eggs of American birds. Her father, who had forbidden her to marry the man she loved, financed the project to provide her a distraction from heartbreak. 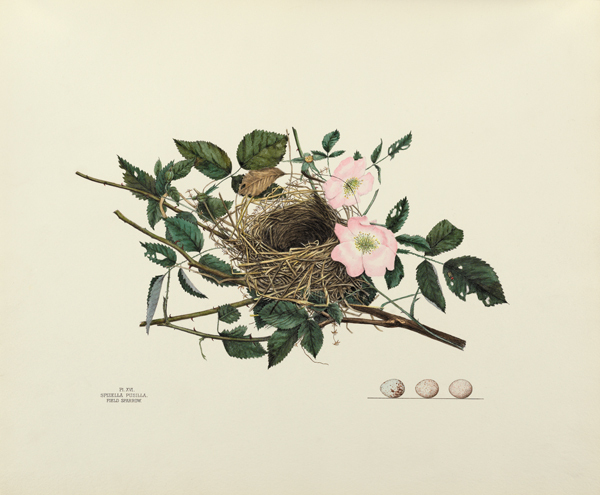 Jones’ brother Howard collected the nests and wrote the text, and she learned to draw on lithographic stones to create the printed images (which would later be colored by hand). After completing only five drawings, Genevieve died of typhoid fever, and her grieving family determined to finish the book, with her mother taking the role of artist. Only 90 copies of the book were printed, and fewer than 25 are known to exist today. Mass Audubon’s copy, which belonged to Howard Jones, is considered the most significant because its color plates served as the patterns for other copies, and it includes a unique gilt title-page and important manuscript material. Nests, Eggs, Heartbreak & Beauty will open on Sunday, September 30 at the Mass Audubon Visual Arts Center in Canton. The exhibition opening will be celebrated by a reception with light refreshments from 1 to 5 pm. Joy Kiser, whose research uncovered the story behind this remarkable volume, will be at the reception, signing copies of her new book America’s Other Audubon. This entry was posted in Art & Culture and tagged exhibit on September 24, 2012 by Hillary T..